Molly’s is brand, spanking new–at least to New York. 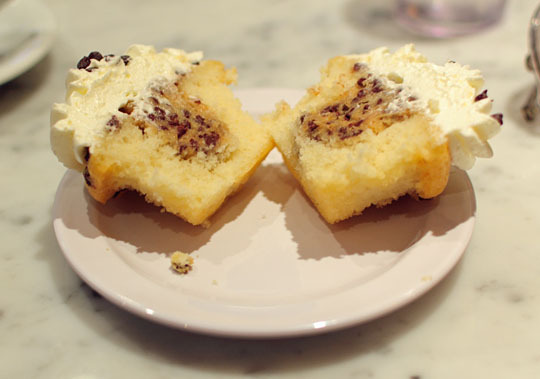 The bakery, which has its original location in Chicago, was named after the owner’s third-grade teacher, who baked cupcakes for her students’ birthdays. The shop is adorable, even without adding cupcakes to the mix. My favorite part is the coffee bar on the left when you first walk in. It doesn’t have stools, it has swings! 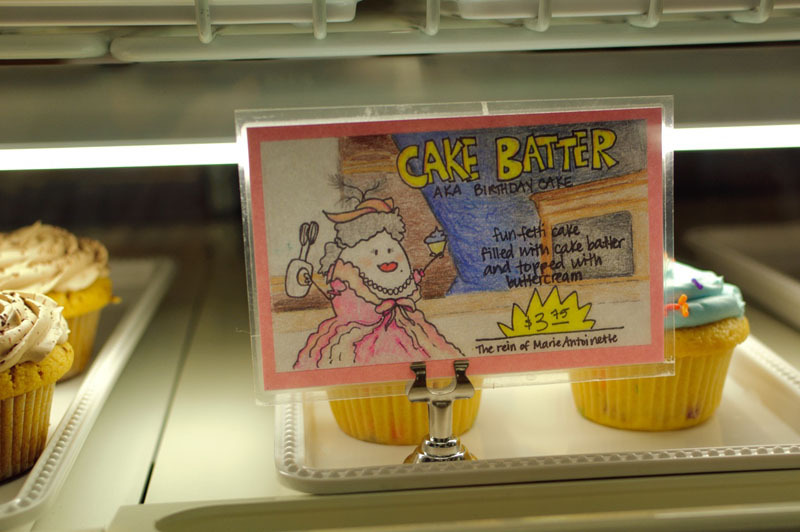 The cupcakes themselves are works of art, and each is described in the display case by an amusing illustrated card. For example, the one for the Cake Batter Cupcake pictures Marie Antoinette wielding a hand mixer. It was a very difficult decision, but we decided to go for the Cookie Monster and the Peach Cobbler. The Peach Cobbler is a vanilla cupcake with a filling made of peaches, brown sugar, and other ingredients (I was told “military secret” when I asked) covered with streusel, whipped cream, and a peach slice. This cupcake won the day as far as my group was concerned. Comments ranged from “Mmmm…” to “That’s awesome!” This cupcake succeeded in what it was trying to do, it tasted like peach cobbler while still being a cupcake. 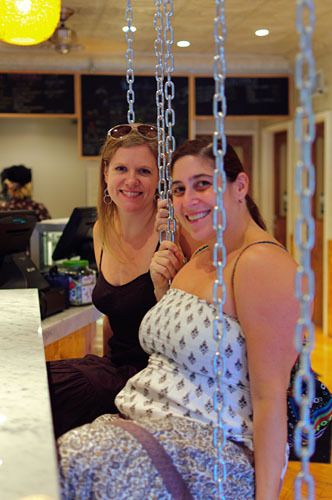 We loved Molly’s, and I will certainly return to sit in a swing, drink some coffee, and try more of their delights. 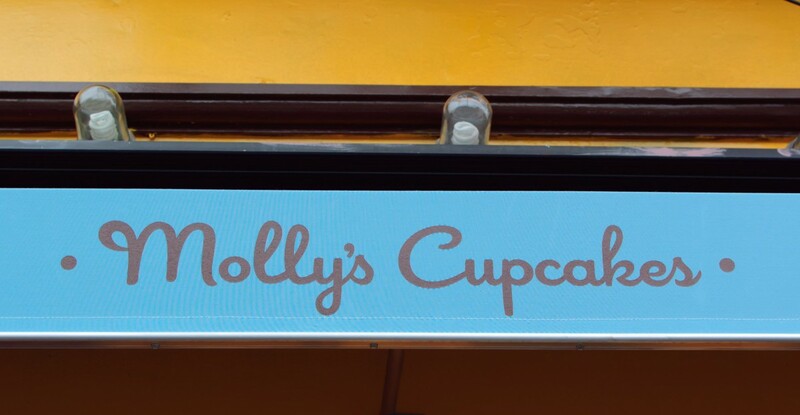 Have you visited Molly’s Cupcakes in NYC? I’d love to hear your comments. Thanks! Funny, one of my cupcake crawlers is actually from Kansas City.